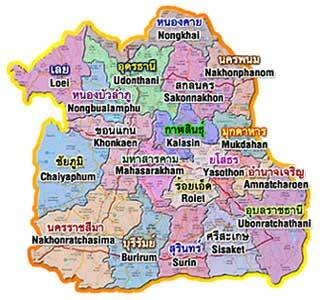 Isaan is the Northeast region of Isaan, often spelt Esarn, Isan or Issan. The region is historically Thailand's poorest, due to the land being notoriously hard to farm, and the fact that the region doesn't benefit from tourism like the South of Thailand does. Often referred to as “the real Thailand,” this label is derived from the fact that Isaan people have retained the welcoming, kind, happy nature that is considered inherently Thai. Those who visit Isaan often comment on the “Jing Jai” (sincerity) of the people. 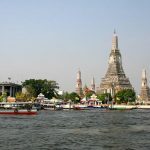 Although the majority of people in the region speak Thai, many in the northern and central parts speak predominately “Thai Isaan”, a mixture of the Laos and Thai dialects. In the southern areas of Isaan, there is a heavy Khmer influence due to its proximity to the Cambodian border, and there many speak both Khmer and Thai. 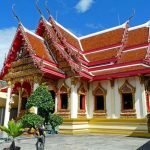 Isaan is coming up in the world, and investment in local amenities is making the region more appealing to holiday makers and backpackers. Many consider Isaan to be a future jewel of Thailand, with the region boasting beautiful temples, national parks and a wealth of history. One mustn't forget the delicious Isaan food either, or the endearing mor lam music. Below you will find 2 maps of Isaan, the second includes the Thai translation of the provinces (“jangwat” in Thai). Last year a new province was created named Bueng Kan; this is featured on the first Isaan map.